Initiated by the Research Commission of the International Society for Music Education (ISME, https://www.isme.org), the Asia-Pacific Symposium on Music Education Research (APSMER) was founded in 1997 by three founders, namely, Prof. Tadahiro Murao from Japan, Prof. Gary McPherson from Australia, and Prof. Hong-soo Lee from Korea. The name of APSMER (Asia-Pacific Symposium on Music Education Research) was proposed by Prof. Gary McPherson. It has provided a forum for Asia-Pacific researchers, graduate students and teachers in music education to meet every two years. The APSMER has become the regional conference of ISME in the Asia-Pacific region in 2007. 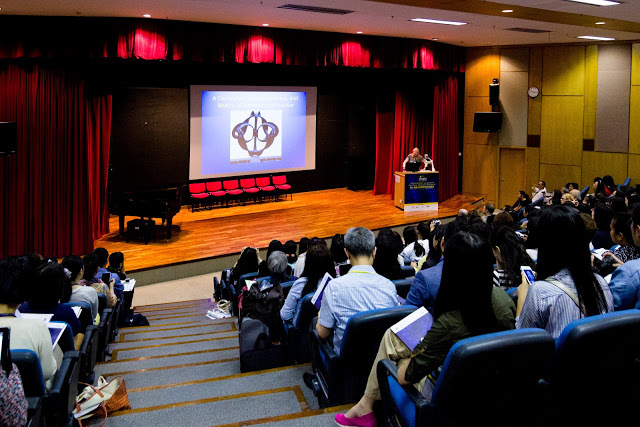 The symposium aims to share knowledge and experience among music educators in the Asia-Pacific region and to provide opportunity for music educators to develop networks and work collaboratively in advancing the theory and practice of music education. APSMER 2019 is the 12th Symposium to be held in Macao. 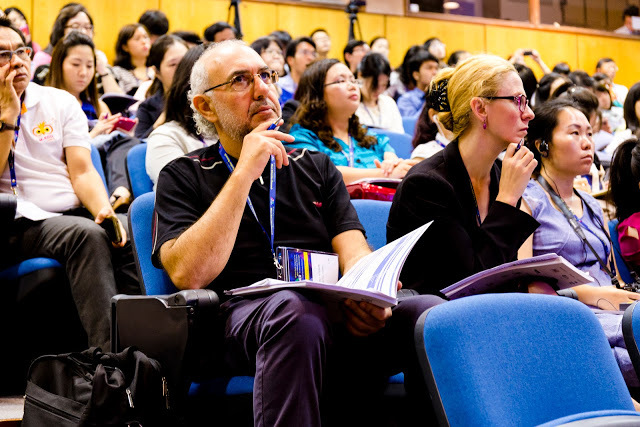 Previous conferences have taken place in Seoul (1997), Launceston (1999), Nagoya (2001), Hong Kong (2003), Seattle (2005), Bangkok (2007), Shanghai (2009), Taipei (2011), Singapore (2013), Hong Kong (2015), and Melaka (2017). The online submission system must be used. To be included in the published program, individuals must be registered on the APSMER website. This includes co-presenters, panelists, speakers on workshops/demonstrations, and so forth. All submissions must follow the instructions provided in the Call for papers on the APSMER website. The amount of time allocated to each type of session is indicated below. Please plan for a submission that will fit the appropriate timeframe. Submissions that are not presented in the required formats will not be considered. No individual will be permitted to present in more than a total of TWO Paper, Poster, or Workshop/Demonstration sessions, and depending on the number of submissions, the Conference Organizers reserves the right to further limit the number of presentations accepted for any individuals. All submissions will be fully reviewed and selected by members of the APSMER board committee. Full papers will be refereed (peer reviewed). Only papers that are distinguished by their academic quality, conform to submission guidelines, and meet all deadlines will be selected for publication in the Conference Proceedings (PDF format). All accepted abstracts will appear in the Conference Abstracts Booklet and USB memory stick, which will be available for all delegates and added to the APSMER website after the Conference. All full registered attendees will receive one copy of the Conference Proceedings (PDF format) which is saved on the USB memory stick as part of their Conference registration fee. I hereby assign to the Asia Pacific Symposium for Music Education Research (APSMER), copyright of the Full Paper I am now submitting for use by the Organizing Committee in all formats and through any medium of communication if it is accepted for Publication in the refereed Conference Proceedings. I understand that the Full Paper I am submitting will be refereed for possible inclusion in the Conference Proceedings and that it may also appear on the APSMER web site. I confirm that the Full Paper is original and has not been published previously nor is currently under consideration elsewhere, that I have obtained all necessary permissions for the reproduction of content not owned by me (e.g., illustrations, photographs, charts, and other visual material, etc.) not owned by me, and that the Contribution contains no unlawful statements and does not infringe any rights of others. I understand that I will retain copyright of the original submission for purposes of duplicating the article, placing it on my personal and institutional websites, etc., but will give APSMER the first and exclusive rights to publish the APSMER-formatted and edited version in print or online in APSMER Conference Proceedings and/or journals. I understand that if my Full Paper is not selected for publication in the Conference Proceedings, then upon such notification the copyright will revert back me (the author). Spoken Papers will be allocated 30 minutes, consisting of no more than 20 minutes for the presentation and a maximum of 5 minutes for questions and discussion (with 5 minutes for the next presenter to prepare his/her presentation and for delegates to move to the next session). Spoken Paper submissions must conform to one of two formats: either a Long Abstract only or a Full Paper with Short Abstract. Abstracts must be in English with the text between 300 and 400 words in length (excluding title and author information). The Abstract should not include references. Complete Paper submissions with no more than 3000 words in length are required only for presenters who wish to have a fully refereed paper considered for publication in the Conference Proceedings. No more than a total of two (2) tables and/or figures may be included. These Papers must include a short Abstract in no more than 250 words which can be used in the Conference Abstract booklet for delegates. Long Abstracts will be refereed for inclusion as a presentation in the Conference Program. Full Papers will be refereed for inclusion in the Conference Proceedings. It is possible, therefore, that some Full Paper submissions will be accepted for presentation but will not appear in the Conference Proceedings. Authors should expect to be notified separately of presentation and Full Paper publication decisions. Long Abstracts for Poster submissions must follow the same rules given for Spoken Papers, above. Authors of accepted Posters are invited to bring with them a Poster to display during the Conference. Poster specifications (size, format, etc.) will be provided upon acceptance. Titles of Abstracts for the Poster Session will appear in the Conference program and the Abstracts will appear in the Conference Abstract booklet. Posters will be grouped into sessions that have designated timeslots (normally 90 minutes) assigned to them. Individuals may present proposals for panel discussions or symposia of 3-5 persons on topics related to the symposium theme. Panel discussions/symposia are 90 minutes long, and must include time for audience questions. All submissions. Must be 500-750 words and describe how the panelists will divide the time among themselves, and allow at least 20 minutes for audience questions. Must include a cover letter that provides the name, email address, phone number, and home address; and school name, location, address, phone, and fax numbers (if appropriate) of the panel moderator and the panel members. The cover letter should briefly describe how the presentation relates to the theme, and the Key Question(s) addressed. The cover letter and proposal must be combined into one document and submitted once using the proposal submission link. All panel members must register for the symposium. A Workshop submission consists of an abstract between 300 and 400 words in length. The abstract should clearly provide background information, the purpose of the workshop, content, method, and applications for music education. Titles of accepted Workshops will appear in the Conference Program and abstracts will appear in the Conference Abstract book. Sessions will have designated time-slots (normally a total of 60 minutes, consisting of no more than 45 minutes for the Workshop and 10 minutes for the discussion/questions, with 5 minutes between sessions). Demonstration groups of pupils can only be used if all arrangements are organized by the presenter, because the organizing committee cannot provide for this. For demonstrations of software or other equipment authors will be responsible for ensuring that the necessary equipment is available. Submissions must therefore include a full description of the equipment and facilities needed. It is special designed for young students to exchange their academic research results on music education. A senior music educator will host the meeting and comment every paper. The abstract or full paper for this Forum must follow the same rules given for Spoken Papers, above. Please indicate your proposal is for the “forum for graduate students”. The deadline for abstract submission to the 12th APSMER Conference has been extended to 15 February 2019. Applicants will be notified of the results of the review process for publication in the Conference Proceedings on or before April 30, 2019. Successful applicants must confirm participation as presenter, by registering as a delegate for the APSMER Conference no later than April 30, 2019 (Early Bird Registration). Should successful applicants not comply with this requirement, their submission may be withdrawn from the programme. The hotel industry in Macao is very developed. In order to provide you with a rich and varied accommodation experience, there is no designated hotel for APSMER2019 Conference. Participants can choose to stay at different hotels. 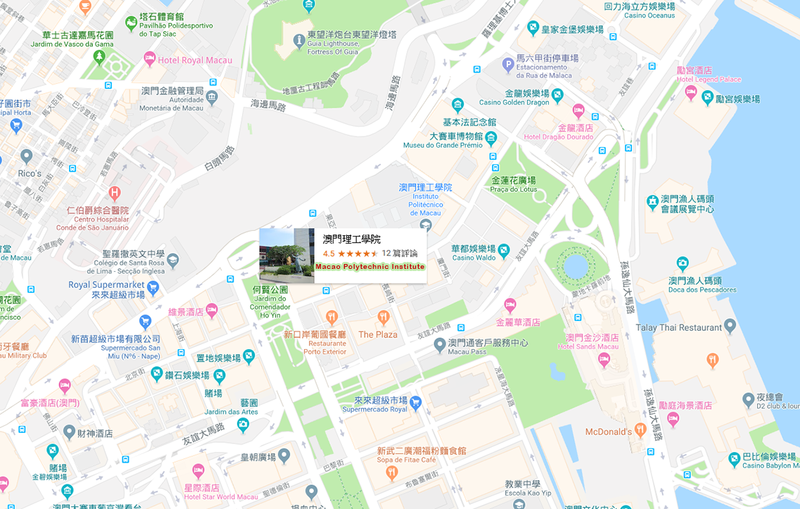 The following nearby hotels (You can walk to the conference venue from all these hotels) can offer limited preferential room rate to our participants. Please contact the hotel to book your room by yourself. Please click on “Start Booking” under the official website, enter the code “APSMER” to see the special price in event dates. Guests can follow the instructions on the website to complete the booking. Room rates are limited to APSMER events and reservations only until May 31st. Mak, Pio Luis; Mok, Pui Chun Esther etc.